I added this to my original showroom on November 2, 2010. 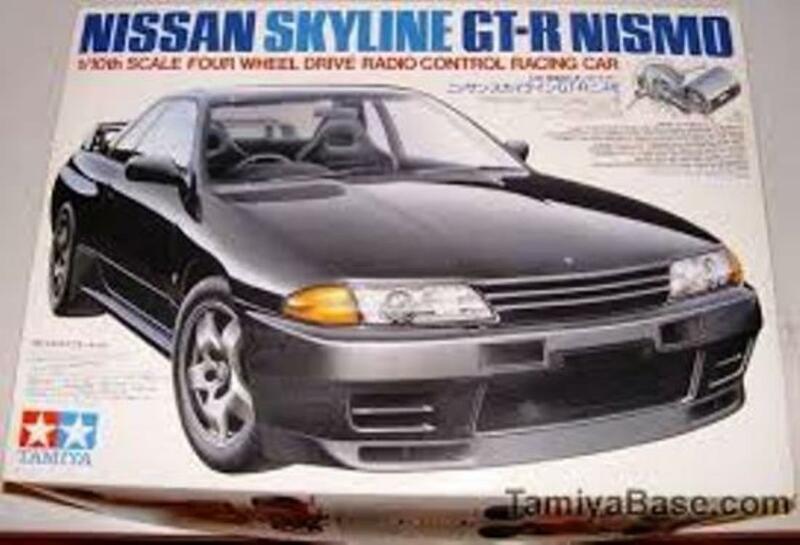 This is my Tamiya Nissan Skyline GT-R Nismo (R32) on the TA-01 chassis that I purchased NIB back in the early 1990's. 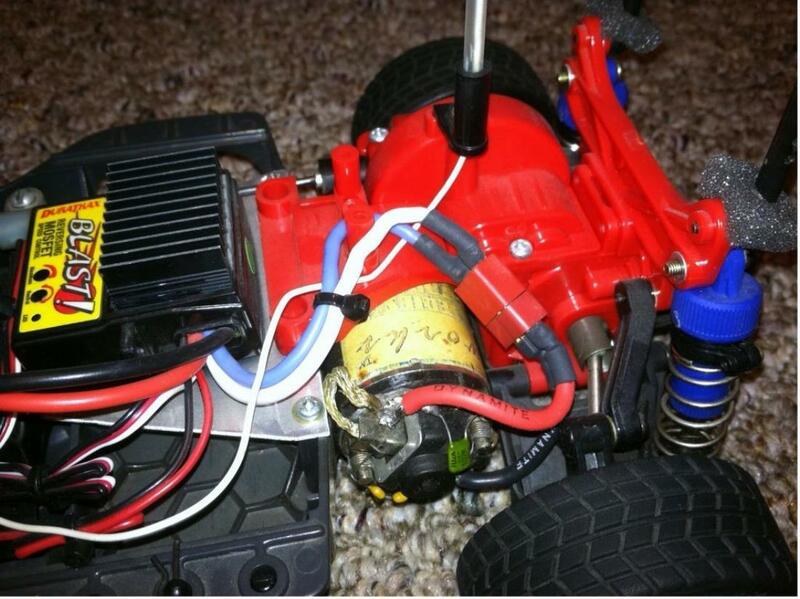 It's running an old but reliable Duratrax 'Blast' ESC, vintage Speedworks 427 4WD motor, period-correct Futaba stick radio and ball bearings throughout that remains a potent combination especially considering it's over 25 years old. The car is in excellent condition but has not been run in 7-8 years since I stripped the original paint off with the often-recommended Mr. Muscle oven cleaner in preparation for a box-art respray which I never got to before moving a few times. I had also sprayed the original rims white to match to original paint job but they have since been stripped down to their original color. I painted the original body white over black 'cobweb' BITD that I thought was cool when I initially did it almost 25+ years ago but grew out of it hence the paint removal. Turns out Mr. Muscle was a little too strong (pun intended) for the 20+ year old lexan body so it ended up getting cloudy and brittle resulting in a few small cracks. The blue tape you see on the outside of the body is reinforcing the numerous cracks until I repaint the body and repair them. 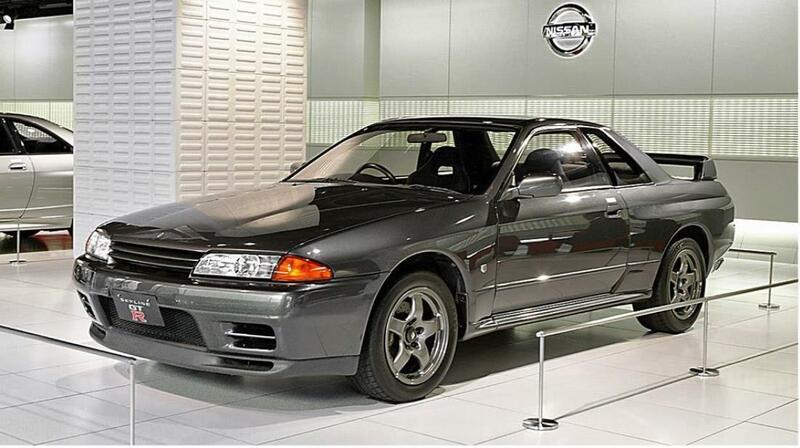 I'll use the original R32 body and rims for display and purchased a repro body, carbon fiber decals and black 6-spoke HPI rims with disc brake calipers that I added a red pin stripe to in order to complete the street-tuner look for running. The chrome 5-star rims now sit on tamiya slicks for drifting. 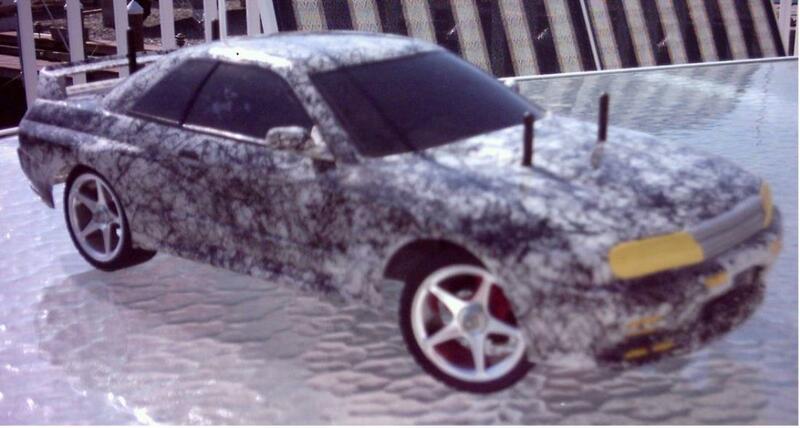 This model is said to be the pioneer that initiated the r/c touring car craze that followed. They are quite versatile as you can do a lot with them and their remains a lot of spare parts and upgrades available for this chassis. After seeing several of the real thing both state-side and abroad for the first time a few years ago, I've got a very good mental reference which will hopefully contribute to the finished product. More details and updated pics to follow as I make progress. Thanks for looking and hope you enjoy. Trial fitting repro Skyline body. Original Skyline body. 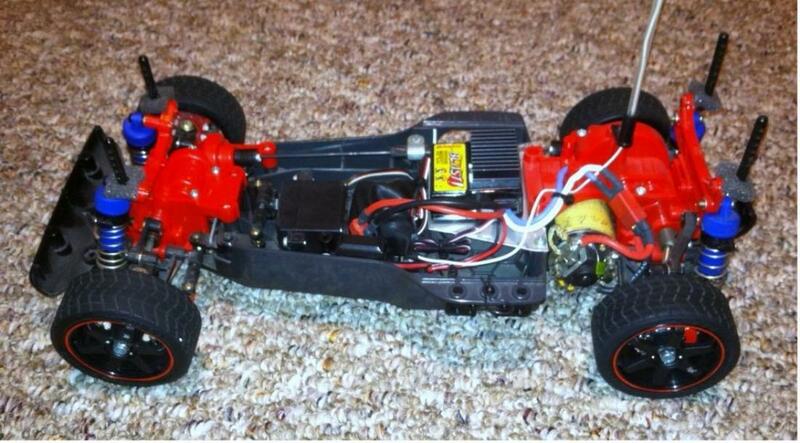 Duratrax ESC and vintage Speedworks 427 4WD motor. How it looked from 1991-2011. Example of box-art. 1:1 example. Another. A great project. You’ve done well keeping it for so long and you can tell you’re still enjoying every minute.